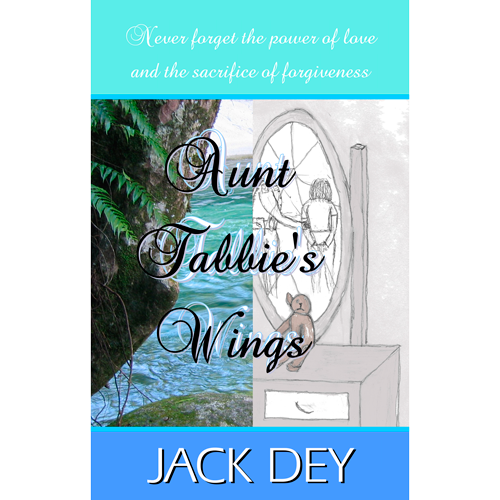 Aunt Tabbie's Wings is a heart warming story depicting the incredible healing and life changing power of Father's agape love. She turned, slipped and fell straight into the current, screaming as she fell. When she got her breath, she screamed at Bluey, tears running down her face. "WHY DIDNT YOU JUST LET ME DIE? NO ONE LOVES ME, I WOULD HAVE BEEN BEDER OFF DROWNED!" Bluey dragged himself up onto the bank, picked Gwendolyn up in his arms and held her shivering, frightened frame tight. He spoke softly to her, "I love you, Gwendolyn and I would give my life for you. That's how valuable you are to me." One orphan child's journey through the horrors of abuse and torture at the hands of hatred. The trials and tribulations of a wounded heart and the ever present need to find the safety of a pure father's love. Aunt Tabbie's Wings is a heart warming story depicting the incredible healing and life changing power of Father's agape love. Come on the journey and be inspired. Lay down your life and set a child free. A simply delightful tale of love, adventure, struggle and redemption. Jack Dey, born to adventure, has four loves. Jesus. The Editor—his wife of 30 something years. Writing adventure stories and the Sand Flea. He lives with his family in the beautiful rainforest of tropical North Queensland, Australia. Mahina is his first novel. Paradise Warrior—is his second. A compelling novel of mystery and exotic intrigue set in northern, tropical Australia and loosely based on historical fact. A riveting story of courage, redemption, love and friendship. Paradise Warrior is not for the faint hearted. Don't read it alone!